The most beautiful image of the sun I have seen so far. "Processed image of SDO multiwavelength blend from Jan. 19, 2015, the date of the spacecraft's 100th millionth image release. 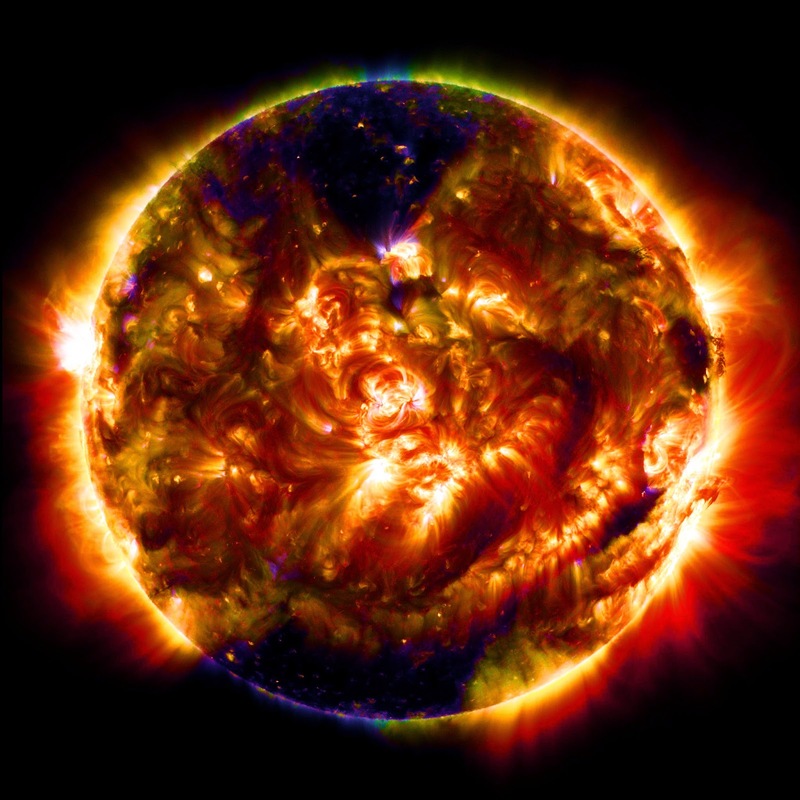 Credit: NASA/SDO"